The Documenting Hope Project’s unique proposition is to address the massive economic, social, and healthcare crisis by restoring health to this generation of children. We will demonstrate to the public through an integrated scientific (pilot) program, media (documentary film), and educational (grassroots outreach) platform what both the medical literature and anecdotal evidence in a multitude of clinical settings show: that healing is possible. bioinformatics and systems biology from the laboratory to the clinic, and then disseminating these findings to the public, the Documenting Hope Project hopes to significantly close the “bench to bedside” gap with regard to childhood chronic illness. Chetkovich CA, Kunreuther F. From the ground up : grassroots organizations making social change. Ithaca: ILR Press/Cornell University Press; 2006. viii, 205 p. p.
Ganz M. Why David sometimes wins: leadership, organization, and strategy in the California farm worker movement. Oxford; New York: Oxford University Press; 2009. Xvii, 344 p. p.
Lekoko RN. Cases on grassroots campaigns for community empowerment and social change. 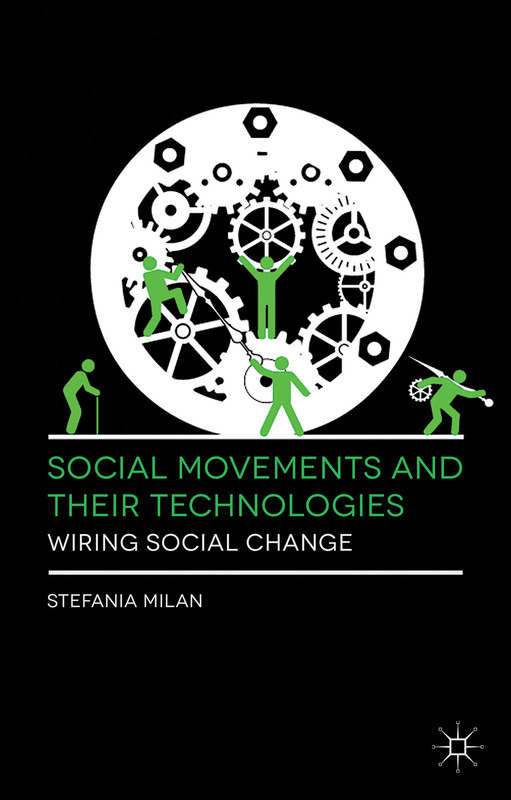 Hershey, PA: Information Science Reference; 2015. pages cm p.
Milan S. Social movements and their technologies : wiring social change. Houndmills, Basingstoke, Hampshire ; New York, NY: Palgrave Macmillan; 2013. xiii, 233 pages p.
Ottinger G, Cohen BR. Technoscience and environmental justice: expert cultures in a grassroots movement. Cambridge, Mass. : MIT Press; 2011. viii, 298 p. p.
Tilley F, Weaver RG, Beets MW, Turner-McGrievy G. Healthy eating in summer day camps: the Healthy Lunchbox Challenge. J Nutr Educ Behav. 2014;46(2):134-41. Schiavo R. Health communication: from theory to practice. Second edition. ed. xxxii, 623 pages p.
Film and the media have tremendous power to impact social change. Simply piloting a scientific study, demonstrating that diet, lifestyle, and therapeutic intervention together can reverse chronic illness is insufficient when the cause of the epidemic of chronic illness in children is cultural. In other words, one of the main reasons so many children are sick today is because of how we live in the modern world—what we eat, drink, how we behave, the kinds of medicines we take, what we’re exposed to—all of these things are negatively impacting the health of our nation’s children. We have the power to affect change through science, but only if it is done in conjunction with an integrated strategy to raise awareness of the science and bring it to people in a way that is influential and easily digestible. Media has the power to do this, especially when the message is delivered through hope, inspiration, and promise for a brighter future. The Documenting Hope Project integrates the science from the recovery program with a grassroots media-enabled program to help educate and support those looking to make lifestyle changes that support health and wellness. Blakley, J. Food, Inc. Viewers More Likely to Eat Healthy, Shop at Farmers Markets Compared to Very Similar Non-Viewers. USC Annenberg Norman Lear Center. Brown P. Contested illnesses : citizens, science, and health social movements. Berkeley: University of California Press; 2012. xv, 324 p. P.
Cole C, Dutta MJ, Harter LM. Communicating for social impact: engaging communication theory, research, and pedagogy. Cresskill, N.J.: Hampton Press; 2009. x, 232 p. p.
Diaz-Ortiz C. Twitter for good change the world one tweet at a time. San Francisco, CA: Jossey-Bass,; 2011. Evans WD, Hastings G. Public health branding : applying marketing for social change. Oxford ; New York: Oxford University Press; 2008. xvi, 304 p. p.
Gregerson MB. The Cinematic Mirror for Psychology and Life Coaching. Dordrecht: Springer,; 2009. Harter LM, Dutta MJ, Cole C. Communicating for social impact: engaging communication theory, research, and pedagogy. Cresskill, NJ: Hampton Press; 2009. x, 232 p. p.
Lewis B, Lewis J. Health communication: a media and cultural studies approach. x, 255 pages p.
Mueller G, Mueller G, Skidmore JM, Project MUSE. Cinema and Social Change in Germany and Austria. Waterloo North York: Wilfrid Laurier University Press University of Toronto Press Distributor; 2012. Rieber RW, Kelly RJ. Film, television and the psychology of the social dream. 1 online resource (vii, 183 pages) p.
Singhal A. Entertainment-education and social change: history, research, and practice. Mahwah, N.J.: Lawrence Erlbaum Associates; 2004. xxii, 458 p. p.